Senior Katie Kraft in a Saturday tournament. her long distance cross country career only has a freshman. 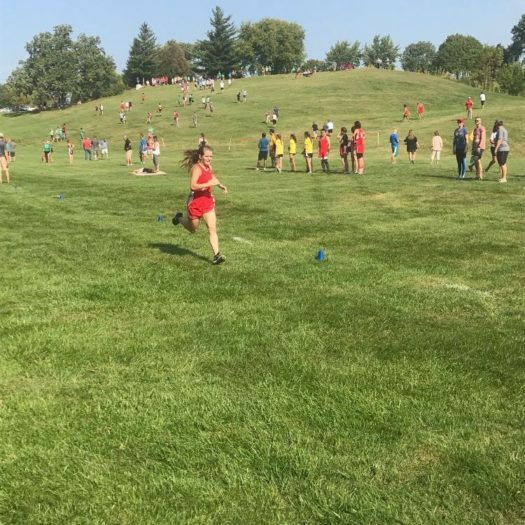 Kraft is now on her fourth year of competitive running, and is one of the team’s greatest strengths, and part of the reason why the team has been so successful this year. In school, Kraft is also on the track team. After she graduates, Krafts hopes to continue her running career in college. really paid off, and she can’t wait to see what the future holds.